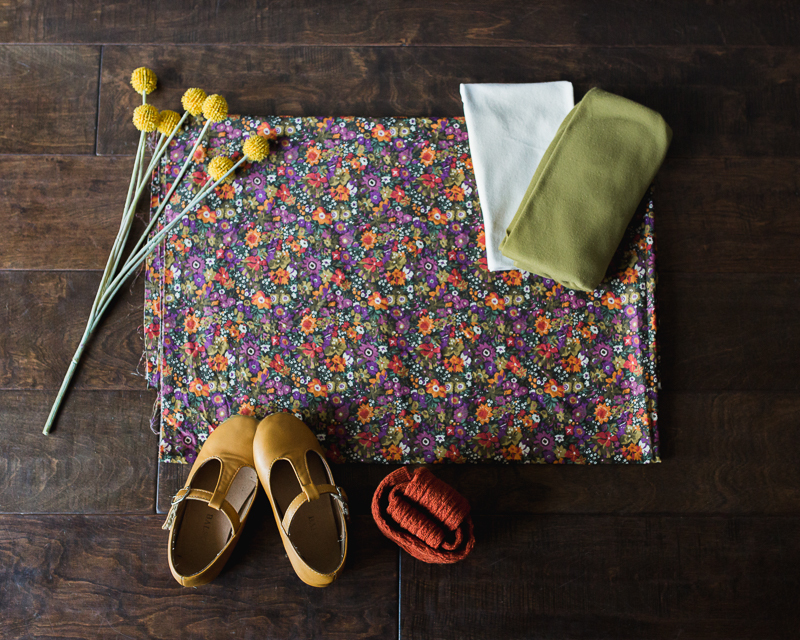 Did you guys hear about the Oliver + S Swingset Sew-Along? It starts next Monday. In addition to the sewalong, there is also a competition and a chance to win $100 to spend on the Oliver + S website. They invited me on board as a panelist, so today I am over on the O+S blog sharing my plans for my Swingset skirt. I've wanted to make this one for a long time, mostly inspired by Gail's amazing versions in the past. I'm really excited to sew this one up! 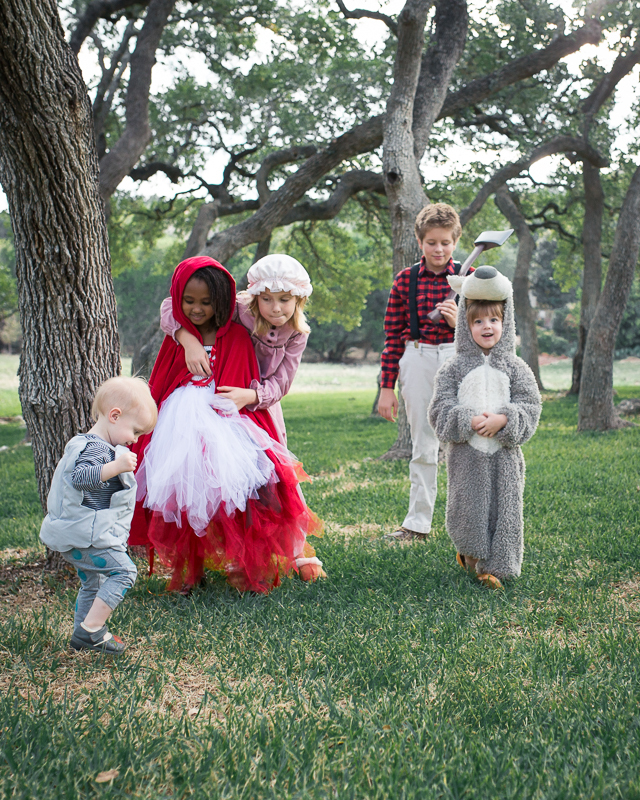 This year the kids decided to go as the Little Red Riding Hood gang. There was no arguing over who would be who between the three girls. 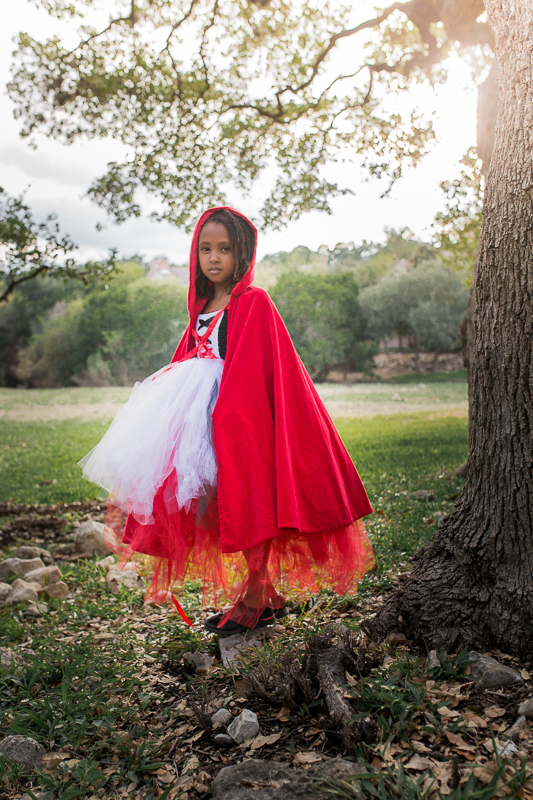 Indigo wanted to be the Grandma, Tia wanted to be Little Red Riding Hood, and Iris couldn't wait to be the big, bad wolf! Jude was happy to be the woodcutter, particularly the more gruesome version as told in Grimm's fairy tales, which also made him the hero of the story. Don't worry, though. 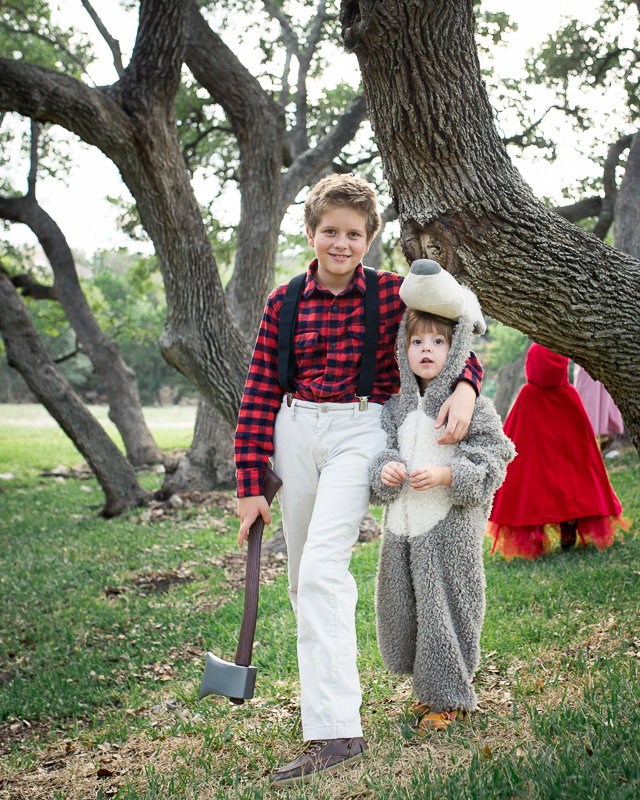 In our story, the wolf and the woodcutter, while initially off to a rough start, later became friends. 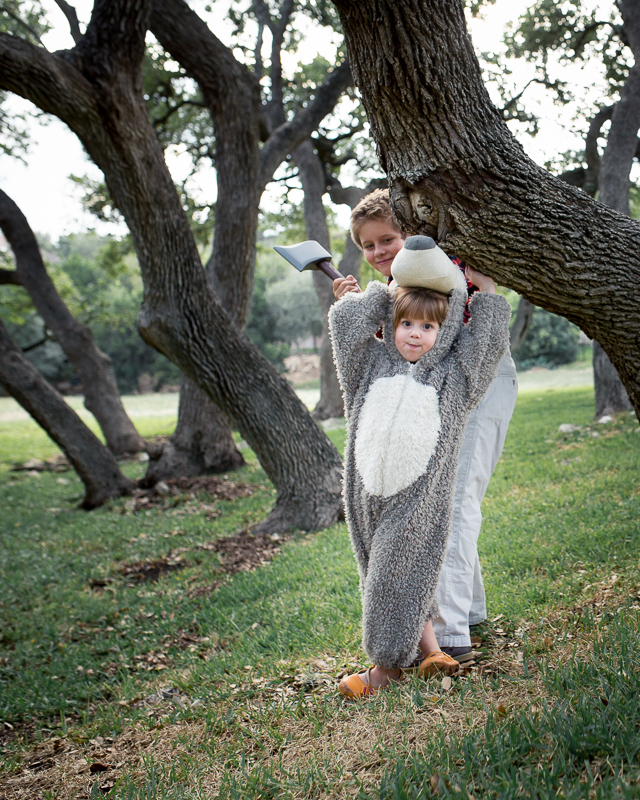 I got off easy this year with three of the kids' costumes having been previously made. 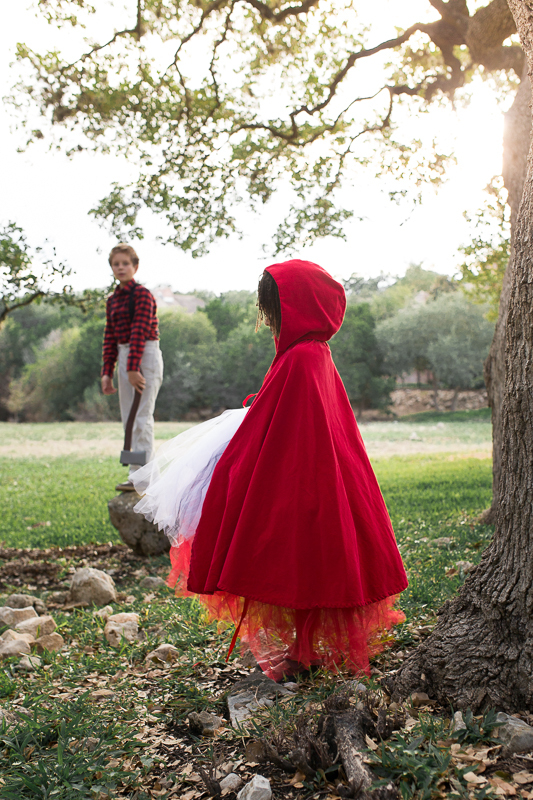 I made the Little Red Riding Hood costume two years ago for Indigo here. I made the Little Rain Cloud costume for Iris three years ago here. Indigo is wearing her Christmas nightgown paired with Tia's sleeping bonnet. And this year, I decided to buy Iris' and Jude's costumes. I strongly considered making this wolf costume for Iris, because it's awesome and I know she would have loved it (those claws!). But Dan has been working a ton of hours lately and time is one resource I don't have much of right now. So I let that one go. 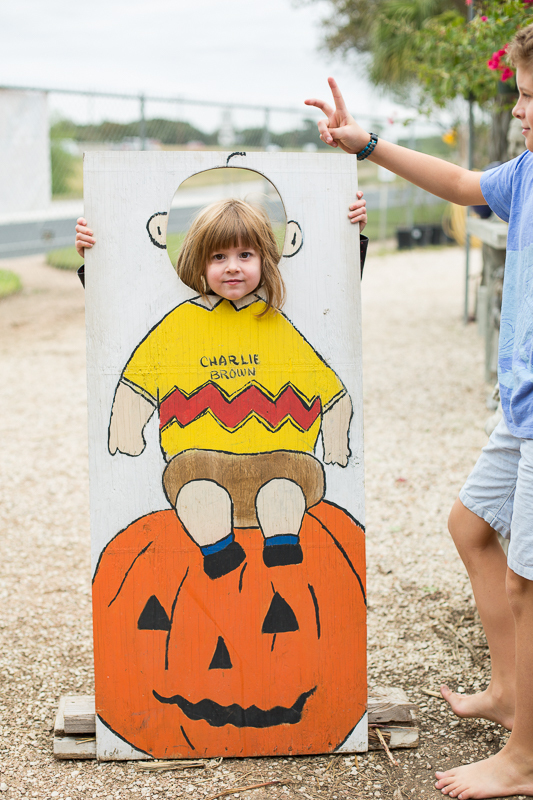 Last week, we went to the pumpkin patch midweek as a homeschool 'field trip'. It was so great because we had the whole place to ourselves. 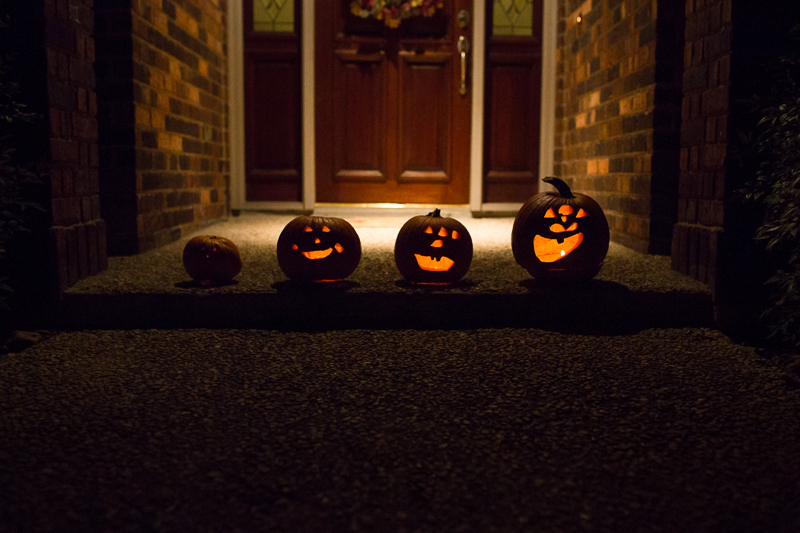 Well, we had a pretty huge Halloween milestone this year where Jude and Indigo carved the pumpkins! That pretty much blew my mind. Every other year it's been Dan or me carving pumpkins, more or less alone. It's one of those activities that's supposed to be for the kids, but the adults end up doing most, if not all, of the work. Not this year, though! 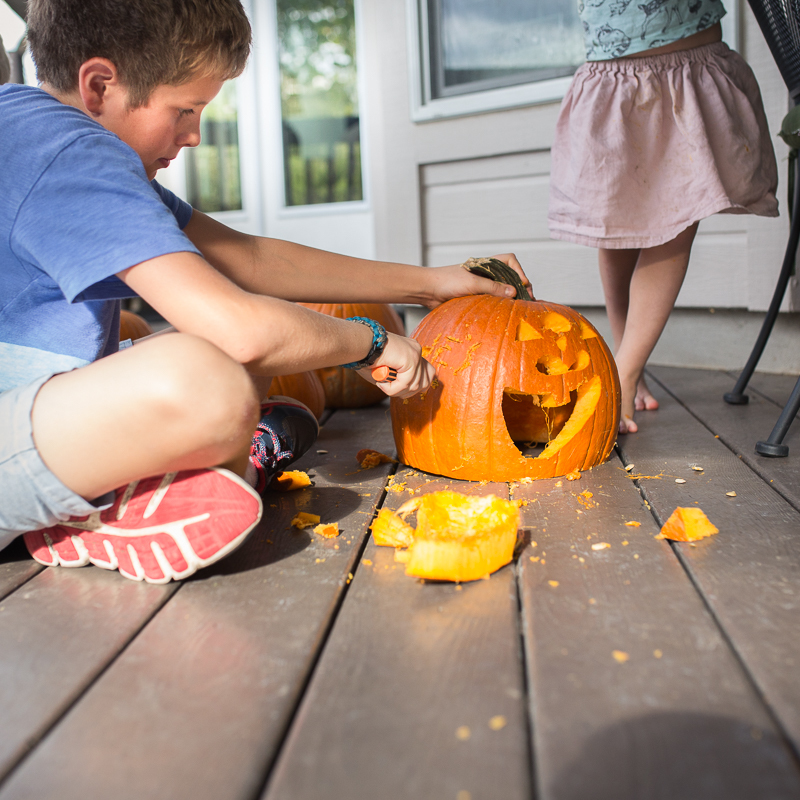 Dan cut off the bottoms of the pumpkins and after that, Jude and Indigo took over with their little pumpkin carving tool kit! I think they've already passed me up in pumpkin carving ability! Iris begged, "Give mine Seeks! Give mine Seeks!" 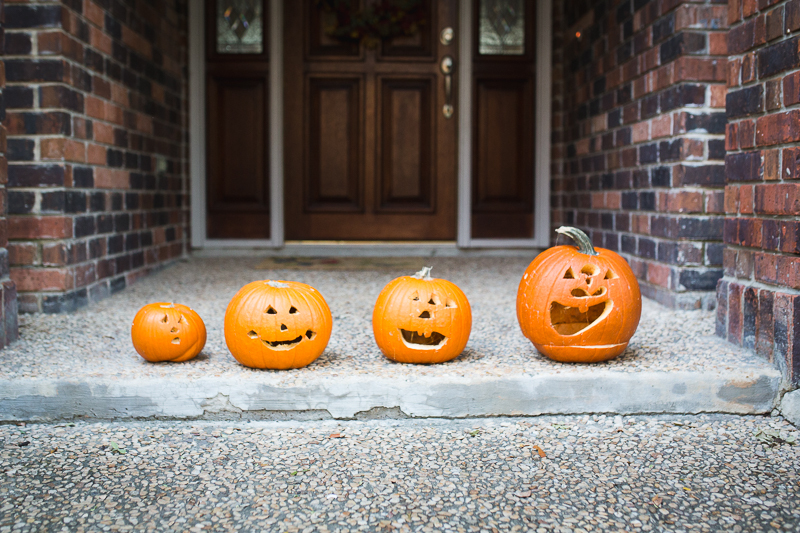 That would be "cheeks" - the two circles you see on either side of the smile of the second pumpkin. Best detail ever, at least in my book! I am loving this stage of parenting so much. I hear a lot of people say they don't want their babies to grow up. And I am one who loves the baby stage, too. It's so precious. But, for me, this stage with my 'older' ones is equally as incredible. They are amazing kids and I enjoy them so much. It's also so rewarding to see the way we can all pull together, work as a team, and have so much fun in the process. When Dan and I were engaged, we used to say that being together was home. It was how I knew I wanted to spend the rest of my life with him. Together, we are accepted for the people we really are. We are understood. We are loved unconditionally. We get each other. And that's what home means to us. 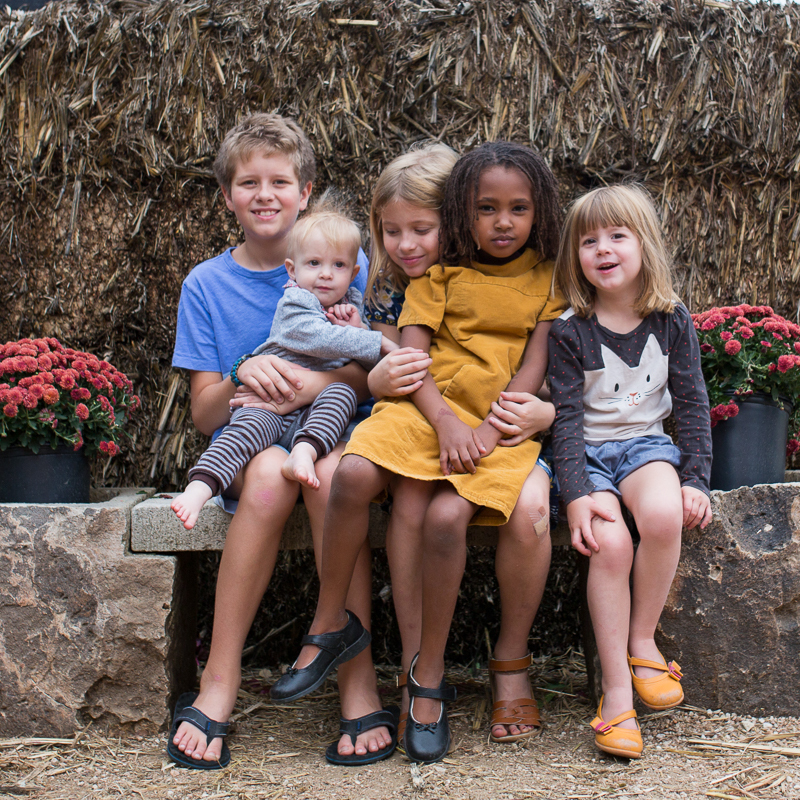 Expanding upon that feeling and watching it grow to include these five kids of ours, well, it's Dan and my home times 5. And it's better than anything I could have ever dreamed up or hoped for. I'm so, so grateful. We made it to the block party on time (more or less). The kids went trick-or-treating and we consumed far too much candy. 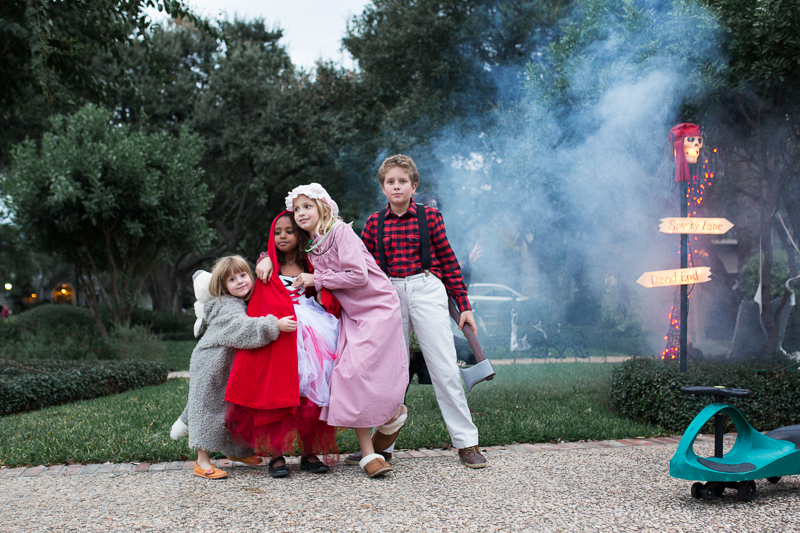 Afterward, we all agree that this was our best Halloween yet! Sounds and looks perfect! Love your definition of home and the reminder to enjoy each stage and those cheeks. Your kids are the CUTEST!!!! I love this post. They are obviously having so much fun! This year both my kids did storebought costumes, and you know, it was a nice break for me, very low stress. I'll probably be all about the homemade costumes next year, but it was nice to take a year off. 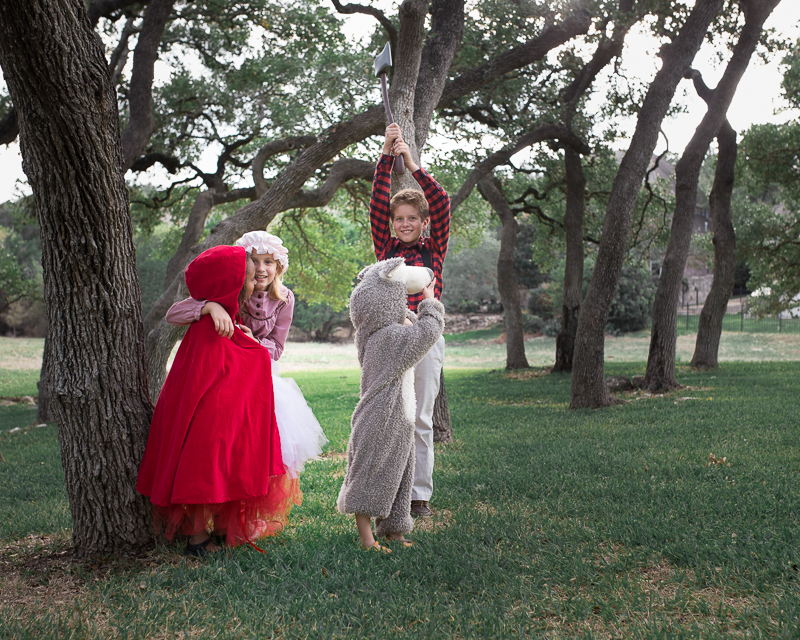 I lóve your Little Red Riding Hood gang! 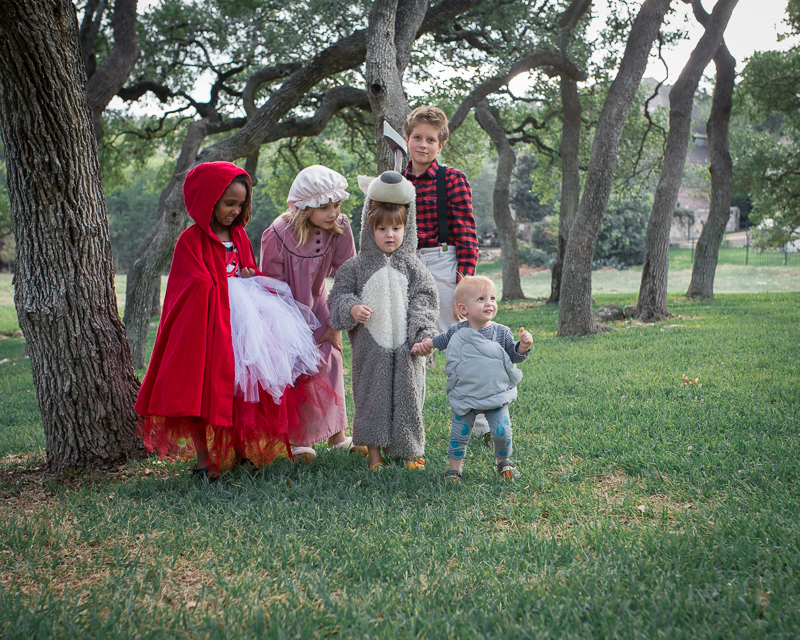 That Little Red Riding Hood costume is soo good. And they altogether is like the most amazing gang ever! You are such a beautiful family. I'm sure it'd be amazing to really get to know all of you!